I agree that in the main, less is more; I have cropped this image a little. I didn’t want to lose: the sources of coloured light; the mixing of the colours; the effect of light on the pressed metal ceiling, the person providing scale; and the red chair at the top of the stairs. 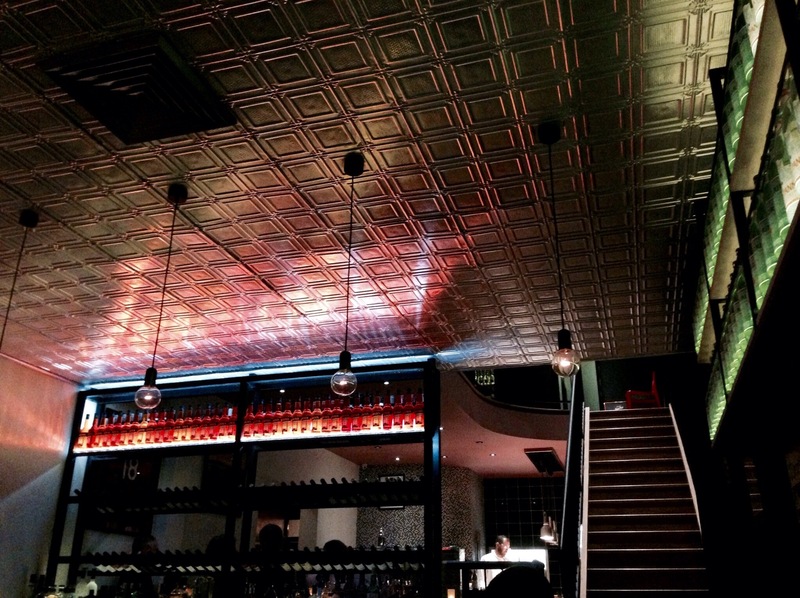 This bar is in one of our favourites in Leichhardt, Australia, Aperitivo, bar, restaurant, pizzeria.